Baylor retired from baseball in 1988 after 19 years. About a year later, on September 5, 1989, he accepted a position in the Brewers front office, becoming the second African American there along with Ray Burris. Baylor took on a wide range of duties, including scouting players on other major league clubs, working with players in the farm system, talent assessment in and out of the club, and other front office activities. Baylor lasted just three months in the position before being hired on as the new hitting coach. The Brewers made the announcement on December 4, right in the midst of a lot of chatter about whether Robin Yount would be returning to the team. Yount received offers from a number of teams including Milwaukee, Chicago (Cubs), San Diego, and California – and of course eventually signed with Milwaukee. He went to work with manager Tom Trebelhorn and a club coming off an 81-81 record in 1989 where the biggest highlight was Robin Yount winning his second MVP award. As a team, the offense hit just 126 homers and scored 707 runs on the season. Although Milwaukee still had a veteran core of Yount, Paul Molitor, and Jim Gantner, plus had signed 39-year-old Dave Parker, they did have some young hitters in need of tutoring by Baylor. B.J. Surhoff, Bill Spiers, Gary Sheffield, and Greg Vaughn were front line players, each with two years or less in the majors. One of Baylor’s first missions involved traveling to Florida to meet with the disgruntled Sheffield, who was coming off a season where he suffered a broken bone in his foot. The hope surrounding the team was that Baylor along with the acquisition of the veteran Parker could help stabilize a clubhouse characterized as “unhappy” during the ’89 season. Meanwhile, both Dalton and Trebelhorn were very vocal in backing Braggs and Deer as everyday players. “They deserve respect,” Trebelhorn said. Despite the respect, Milwaukee traded Braggs and backup infielder Billy Bates to Cincinnati on June 9, and received pitchers Ron Robinson and Bob Sebra in exchange. Vaughn went on to make 429 plate appearances, hit 17 homers (tied with Yount for third-highest), but had just a .229 batting average. Along the way, Vaughn came up with the unique idea of looking at a previous baseball card and using that to imitate an old batting stance – with Baylor’s approval. Well before the Braggs/Bates trade for Robinson/Sebra, Don Baylor found himself with his hands on the collar of another pitcher named Robinson – Jeff Robinson from Detroit. A bench-clearing brawl happened on April 29, when Sheffield didn’t care for a pitch that nearly hit him. General pushing and shoving happened until the arguments subsided – with one exception – Baylor grabbed Robinson by the collar. Ironically Baylor did not want to fight much during the historic brawl between the Brewers and Seattle Mariners on June 30. It all started when Sebra drilled pinch hitter Tracy Jones (on purpose as he admitted later) and went on…and on…and on. Five players and both managers later received suspension. Trebelhorn missed five games and Baylor took over as Brewers manager. He went 3-2 in the role, and three of the games went into extra innings. Baylor later said with such intense games the team could have easily gone 5-0 in his stint as manager. 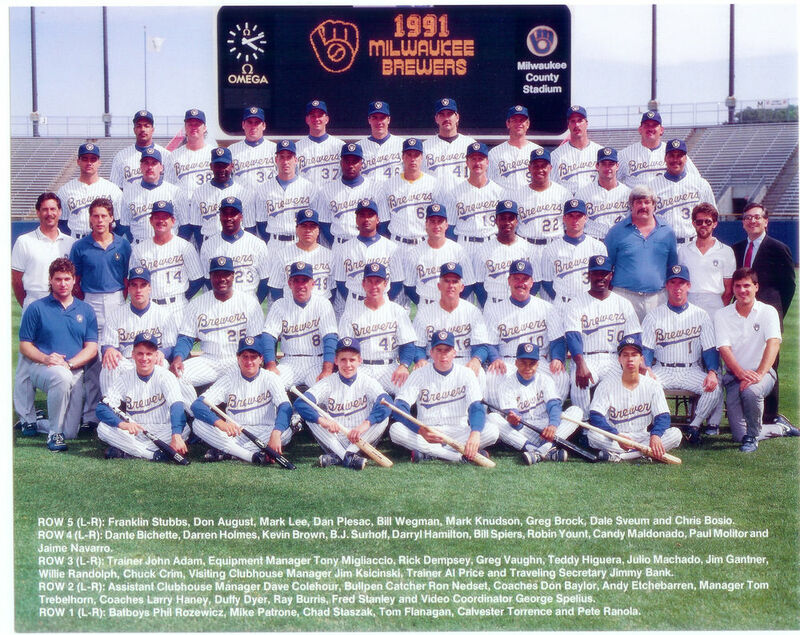 By the end of the 1990 season, the Brewers improved slightly in a number of offensive hitting categories, but the biggest jump came in walks where they went up from 455 to 519. Baylor worked on plate patience. Unfortunately, this didn’t equate to more wins, as the team dropped to a 78-84 record. Baylor returned to the team in 1991, and had some new faces on offense. Dave Parker had been traded to California for young outfielder Dante Bichette. Rob Deer hit the free agent market. Milwaukee added veterans in outfielder Candy Maldonado and Willie Randolph. By the end of spring training the focus shifted briefly from the new players to rumors about Trebelhorn’s job security. He admitted hearing rumors that his job was on the line – rumors that Harry Dalton denied. 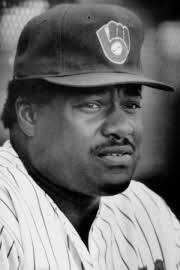 Much of the press covering the story speculated that an easy successor could be found in the dugout – that being Don Baylor. When the season ended, Baylor had reason to be proud. His offense had increased their output to 799 runs scored with a .271 batting average. They drew 556 walks and had an on-base percentage of .336. Overall the team finished fourth in the AL East with an 86-76 record, which included a 40-19 run over the final two months of the season. But it wasn’t enough to save Trebelhorn from getting axed. In the end, the decision fell to new general manager Sal Bando, who had replaced Harry Dalton in the position just a day before. Bando immediately said he had no timetable to announce a new manager, and that Baylor and Brewers Triple A manager Tony Muser would be given full consideration. Baylor told the press that despite his lack of managerial experience, he certainly had great knowledge of the game and Milwaukee’s players. In all, six other candidates were considered besides the in-house Baylor and Muser. Toronto coach Gene Tenace (Bando’s roommate from his playing days in Oakland), Pittsburgh coaches Gene Lamont and Tommy Sandt, New York Mets coach Mike Cubbage, and Phil Garner. On October 29, Bando announced Garner as the new manager, and that he was selected based on personality and potential, not experience. The Seattle Mariners also interviewed Baylor for their open managerial job the same week Bando interviewed him, but that position went to Bill Plummer, a former player turned coach within the Mariners organization. It was a year where out of 14 managerial openings, just one went to a minority – Hal McRae in Kansas City. Toronto’s Cito Gaston was the only other minority manager at the time. Commissioner Fay Vincent said he was pushing for more minority hiring, but recognized the teams had yet to follow through and more focus on the issue was needed. By mid-November, Garner named his coaching staff, and Baylor was not on the list. His former teammate with Pittsburgh, Mike Easler, would be the new hitting coach. It didn’t take long for Baylor to find new employment, as he was named the hitting coach for St. Louis by the end of November. It was a position that desperately needed to be filled as the team didn’t have a full time hitting coach the previous season – the duties were shared by manager Joe Torre and bench coach Red Schoendienst. Torre and Baylor golfed together at infielder Jose Oquendo’s golf tournament in Puerto Rico, and that’s where Torre asked him to become the Cardinals hitting coach. Baylor had actually interviewed for the Cardinals manager job before the job went to Torre in 1990. Baylor was reportedly happy to work under someone that wouldn’t feel threatened by his presence. Baylor spent just the 1992 season with the Cardinals, and his success there with young hitter such as Ray Lankford led to his first managerial position with the expansion Colorado Rockies. 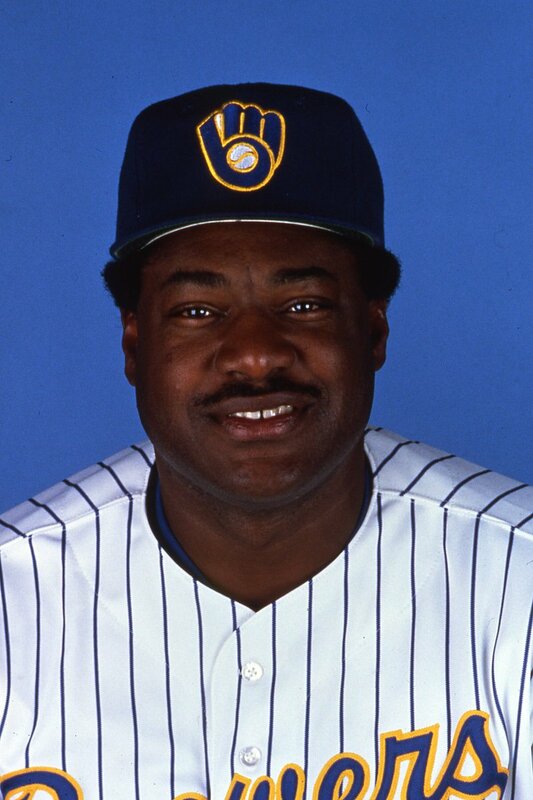 Despite how his time in Milwaukee ended, it’s safe to say that Don Baylor had an impact on several players on the team both in his approach to the game of baseball, as well as his approach to life.